One of the first things most people notice about a person is their smile. A beautiful smile leaves a lasting impression and builds self-confidence. Although having an attractive smile is important, it is more important to have a healthy one. How do I know if I am brushing my teeth properly? Brushing twice a day reduces plaque, a sticky bacterial substance, that covers the surface of the teeth. Two minutes is the optimum amount of time to brush your teeth. Set the timer when you brush in the morning and at night. The method you use to brush your teeth is just as important as how long you clean them for. The right way to brush your teeth is to hold your toothbrush at a 45-degree angle, point it at the gum line, and brush each tooth about 10 times in a tiny circular motion. Brushing too hard, however, can irritate gums and damage your teeth. Horizontal scrubbing can lead to gum recession and abrasion of tooth root surfaces. To avoid this, use a toothbrush with soft bristles and gently massage your teeth and gums. Flossing is another excellent way to keep your mouth clean because it can remove plaque from certain areas that are too difficult to reach by brushing alone. good idea to floss before you brush and after meals. Developing a good dental regime is a proven way to maintain healthy gums, prevent tooth decay, and eschew bad breath. Since I already practice good oral hygiene, do I still need to see the dentist every year? According to the American Dental Association (ADA), the frequency for which you see a dentist can vary from person to person depending on age and health, but the standard for dental visits is generally every 6 months. Children should start seeing a dentist as soon as they receive their first tooth. For those with oral health problems and illnesses such as diabetes or an autoimmune disease, a dentist may schedule visits more often than once or twice a year. It is estimated that about 20 percent of Americans suffer from some level of dental phobia or anxiety. If you fall into this category, you are not alone. But don’t let your fears prevent you from going to the dentist. Regular dental visits are crucial in the detection and prevention of oral problems such as gum disease, tooth decay or loss, and oral cancer. A diet high in sugar can expedite tooth decay, so cut down on your sugar intake. Soda, when consumed in excess, can erode the enamel, or protective shield on your teeth, which can lead to tooth decay. If you are an avid soda drinker, you should probably switch to water. Another food to be mindful of is dried fruits. Although there can be nutritional benefits to this fun snack, foods like this can get stuck in between your teeth and if left there, can cause bacteria to build up. After eating dried fruits, be sure to floss and rinse your mouth immediately afterward. The same goes for crunchy food like nuts and potato chips, which have a habit of getting stuck in between your teeth and gums as well. Although citrus fruits and juices can be a good natural source of vitamin C, they are full of acid that can break down the enamel on your teeth. Be mindful of juices like grapefruit and lemon and how much you consume. Stains to your teeth caused by coffee and red wine can leave lasting effects and are hard to get rid of without extensive whitening treatment. Also, when you add copious amounts of cream and sugar to your daily cup of brew, all that sugar is not good for teeth. It is recommended not to drink more than 4 cups of coffee a day. So be mindful of how much coffee you drink and the additives that you put in your coffee. After your second or third cup, you may want to switch to black. What habits and behaviors affect my teeth and gums? Don’t smoke. Smoking cigarettes, cigars, e-cigarettes or using any kind of tobacco products is dangerous and negatively impacts your gums and teeth. If you do smoke, stop immediately. If you don’t smoke, now is not a good time to start. Limit alcohol intake. Drinking excessively can lead to irreversible damage. Research shows that alcohol abuse is linked to gum disease. The more you drink, the more at risk you are and if you already have gum disease, drinking heavily will exacerbate the disease. Stress less. Teeth grinding can wear your teeth down over time. If you have problems with grinding your teeth due to stress, see Dr. Imm about taking preventative measures. A mouth guard can protect against this. Don’t bite, don’t chew. Chewing on ice, pencils, or using teeth to open things can irritate the tissue in your teeth that can cause cracks and chips. It can be a challenge to keep your smile pearly and white. Continue to practice good oral hygiene and schedule regular dental appointments. If you live near Columbus, Ohio, and are nervous about seeing a dentist, come to 5Points Advanced Dentistry, where you will be greeted by a team of friendly and knowledgeable professionals that you can trust with your oral health. Did you know that April is Oral Cancer Awareness Month? Oral cancer can occur in any part of your mouth, including the tongue, throat, roof of the mouth, gums, and even the lips. Early detection is the most crucial part of combating this disease. Oral cancer is more common than you might think, but the good news is that it is often curable when discovered and treated during the beginning stages. What are oral cancer warning signs that I need to be aware of? Pain in one or both of your ears that doesn’t impact your hearing. Mouth ulcers, sores such as a white lump or red patches that don’t heal. Numbness or pain in your mouth or on your tongue. Enlarged throat lymph nodes and continuous sore throat, constant feeling of a lump in your throat. How does someone get oral cancer? Oral cancer occurs when the healthy cells in your mouth mutate and change into abnormal cells that can start to form tumors. Like any cancer, the prognosis for most oral cancers is good with early detection. However, when the mouth cancer goes undetected for an extended period, it can metastasize, spreading to other parts of the body, and become more dangerous. Certain risk factors increase the chance of getting oral cancer. The biggest risk factors are using tobacco in any form, alcohol abuse, increased sun exposure without proper protection, and Human Papillomavirus (HPV). HPV is a sexually transmitted virus that usually occurs in genital areas but can also be contracted to areas of the mouth and throat. Some instances of oropharyngeal HPV can lead to oral cancer. Other factors that can increase the chance of getting oral cancer are a poor diet that is low on fruits and vegetables, chronic mouth irritation, and genetic conditions such as Franconia anemia, which results in decreased production of blood cells. Oral cancer is a serious condition, but it doesn’t have to be fatal. When diagnosed and treated early, the chances of survival are high. It can be treated through surgery, radiation, and chemotherapy. A medical professional can discuss with you the best course of treatment. It is dangerous to ignore any of the symptoms mentioned above without discussing it with your dentist. Furthermore, oral cancer is difficult for a patient to detect, especially if they are not experiencing any symptoms. Whereas dentists are trained at identifying the warning signs and can interpret what they mean. 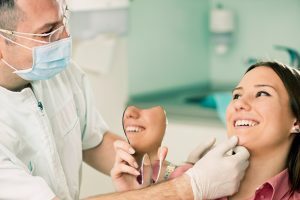 How can seeing a dentist help? By going to the dentist every 6 months, you give a trained professional the opportunity to check your mouth for ulcers or sores. Regular trips to your dentist are not only instrumental in the detection of oral cancer but are also helpful in its prevention. A small spot in your mouth or under the tongue may go unnoticed, especially if you aren’t experiencing any symptoms, but Dr. Imm will specifically check for anything unusual during his screening for oral cancer as a part of your regular dental exam. Good oral health and hygiene can go a long way toward starving off harmful bacteria that can lead to other complications and illnesses. For example, frequent gum abscess, swelling, and bone loss can be an indication of diabetes. If a patient has never been tested, they will never know that they have it. But a dentist can tell a lot about your overall health, simply by looking at the inside of your mouth. What can I do to reduce my chances of getting oral cancer? Keep away from cigarettes, cigars, and e-cigarettes and stop using tobacco products altogether. Tobacco exposes your mouth to dangerous chemicals called carcinogens that increase the risk of developing cancer. If you drink alcohol, limit your consumption to one or two glasses per day. One glass is equal to 12 ounces of beer, 5 ounces of wine, 1.5 ounces of distilled spirits. Prolonged exposure to the sun leaves your lips vulnerable to the risk of oral cancer. When applying sunscreen, people tend to forget to include their lips and face. It is important when spending time in the sun to protect your lips by wearing a hat that provides shade to your face and using sunscreen and lip balm with UV protection of at least SPF 15. How can I make sure I am doing everything to keep my teeth and gums healthy? Brush your teeth twice a day with fluoride toothpaste, floss and use mouthwash daily, and see a dentist regularly. 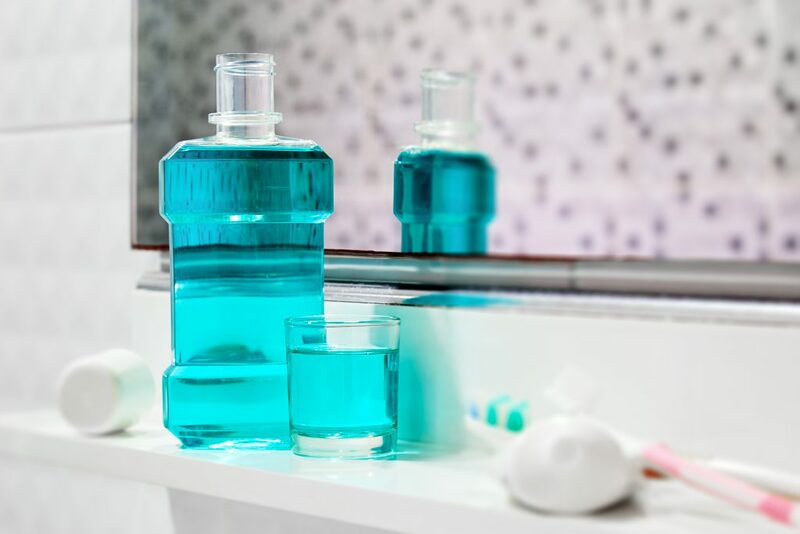 Practicing good oral hygiene not only maintains a clean and fresh mouth, but it can also assist with the prevention of illnesses including periodontitis, or gum disease, diabetes, heart disease, and oral cancer. The skilled professionals at 5Points Advanced Dentistry are trained to recognize the early signs of oral cancer. If you believe you, or someone you know, is experiencing any symptoms, don’t delay. Call and make an appointment today. 5Points Advanced Dentistry is located in Upper Arlington, Ohio right outside of Columbus. Did you know that February is National Children’s Dental Health Month? Teaching children how to take care of their teeth helps them to continue good oral hygiene habits as they grow into adulthood. While the tooth fairy may be the first positive dental role model kids get excited about, there are also additional ways parents can influence good oral health habits for their kids. Thankfully, 5Points Advanced Dentistry has extensive experience with making dentistry a positive experience for children. When and how should I begin teaching my child to brush their teeth? Once you see that your child’s first tooth has emerged, you should begin brushing for them daily. It’s important to help with brushing twice per day using a tiny drop of fluoride toothpaste that’s about the size of a grain of rice. Use a small, child-size toothbrush with soft bristles to minimize irritation or discomfort. When your child turns three, it’s recommended that you increase the amount of fluoride toothpaste used during brushing to the size of a pea. Do your best to teach your child not to swallow the toothpaste. Young kids often have a hard time with rinsing and spitting, so gently remind and encourage them each time to try and rinse and spit until they start to get the hang of it. It’s advisable that parents supervise children while brushing until at least 6-8 years of age. While brushing, help them gently and thoroughly clean all their teeth, inside and out, up and down. 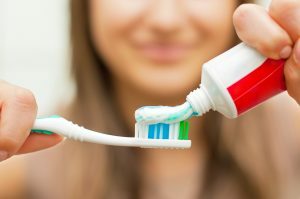 There is no specific method of brushing that’s been found to be better than another, so just focus on trying to clean all their teeth as thoroughly and gently as possible. Sometimes young children tend to focus only on brushing their front teeth since they are easiest to reach. You can make a game out of it by saying something like, “Let’s see if you can find and brush all the hidden teeth in the back too.” It’s important to be patient and to keep it as positive, fun and even silly of an experience as it can be. What can I do to teach my child good oral hygiene and make it a positive experience? When you purchase toothpaste for your child, you may want to consider one with fluoride cavity protection. Look for kid-friendly, colorful toothbrushes, dental floss, and toothpaste packaging to make it fun, and experiment with different toothpaste flavors if your child doesn’t like mint. Teach them how to gently and thoroughly brush their teeth twice per day, as well as how to floss. Consider using star charts and other positive reinforcement to encourage consistency. 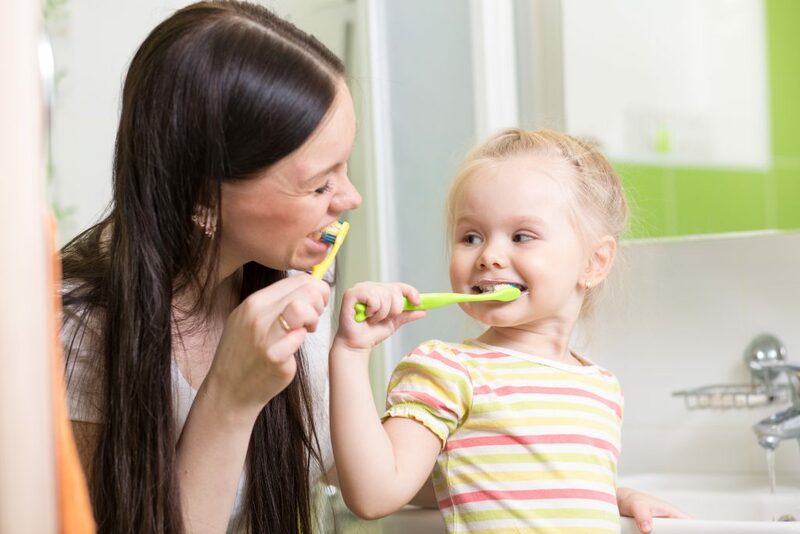 If they forget or miss a day, go easy on them and help them get back on track so that brushing their teeth with you becomes a warm, bonding moment while caring for their teeth. While kids often love to eat sweets and drink soda, it’s important to teach your children while they’re young to enjoy sweets in moderation in order to avoid cavities and other negative health effects. Bring your child to our office every 6 months for a dental examination, X-rays and a thorough cleaning to remove plaque and tartar. Permanent teeth start growing in or erupting, at around age 7 for most children. However, there is growing evidence that intervention may be needed much earlier than that. For example, at Stanford University, doctors are starting orthodontics and palatal expansion as young as 2 years old! Your child’s face and jaws are growing and developing all of the time, and small changes at a young age can make a big difference in their airways down the road. At your child’s bi-yearly exams, Dr. Imm will look for evidence of an over/underbite and/or overcrowded, misaligned teeth and will recommend a visit to an orthodontist, if necessary. Orthodontic treatment such as braces, or even Invisalign First, can help correct many of these issues. However, starting the process early doesn’t mean that your child will necessarily get braces right away. A qualified, compassionate and attentive dentist, like Dr. Imm can help determine the best plan on a case-by-case basis so it’s best to contact us at 5Points Advanced Dentistry for an appointment. Are there any other resources you recommend that can help make dental hygiene fun for my child? What does the ADA say about Children’s Airway Health? In August of last year, the ADA hosted the first ever Conference on Children’s Airway Health. Dentistry is just starting to help improve children’s airways, and Dr. Imm is helping lead the charge! As a mentor at Spear Education’s Airway Prosthodontics Workshop, Dr. Imm is your local expert at helping your children grow and breathe. If your child snores or has any other sleep issues, make sure you let Dr. Imm know, so he can get you going down the right path! Where can I find a dental team who will be gentle with my child? If you are in the Columbus, OH area and are looking for an experienced, warm and compassionate dental team you can trust, you’ve come to the right place! At 5Points Advanced Dentistry, we are proud to offer a warm and compassionate experience for your child that is also affordable and excellent. 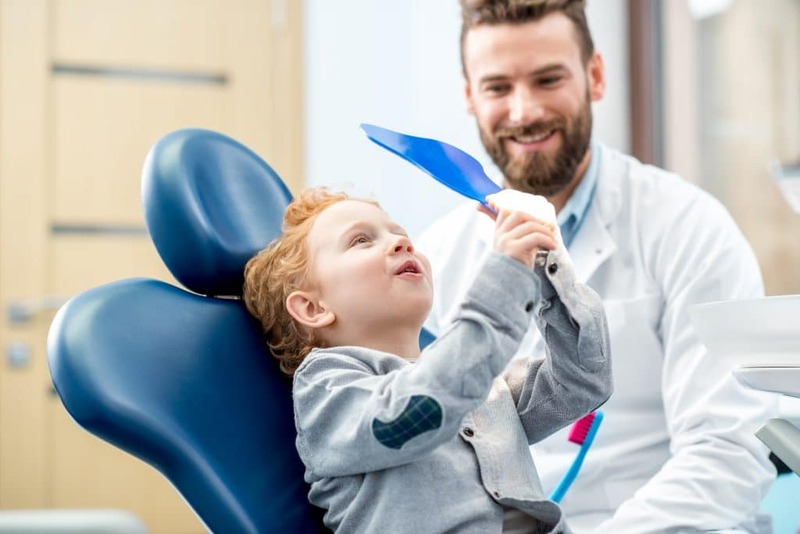 We have a dedicated team who have worked with countless children and are committed to providing your child with a friendly, comprehensive dental plan and family-like care. Dr. Imm is compassionate and attentive and our staff will do whatever it takes to make your child feel at home. We will be with your child every step of the way. My child is nervous about visiting the dentist, what do you suggest to help? When you come to see us, we will do everything we can to make him/her feel comfortable. If you are ready to help your child develop good oral hygiene habits for life, give us a call at 5Points Advanced Dentistry today. Don’t wait any longer, take the first steps to give your child the gift of a beautiful smile that he/she will be proud of and ready to show off. At this point in the year, you’ve probably heard the phrase “use it or lose it” in regards to your medical benefits. But what does this mean exactly? Your dental benefits, for most insurance plans, expire at the end of the calendar year. So what does this mean for you? Simply put, if you do not take advantage of your dental insurance plan, it will go to waste. Your benefits will not roll over. This is essentially throwing away money, and thousands of people do it every single year. The deadline for most insurance companies is December 31. Any benefits that have not been used by this time will simply disappear. How can I make the most of my plan? Know your coverage. It is important to understand what you are entitled to. If you have questions about what is or is not covered or what you will be paying out of pocket, contact your insurance company. Plan ahead. 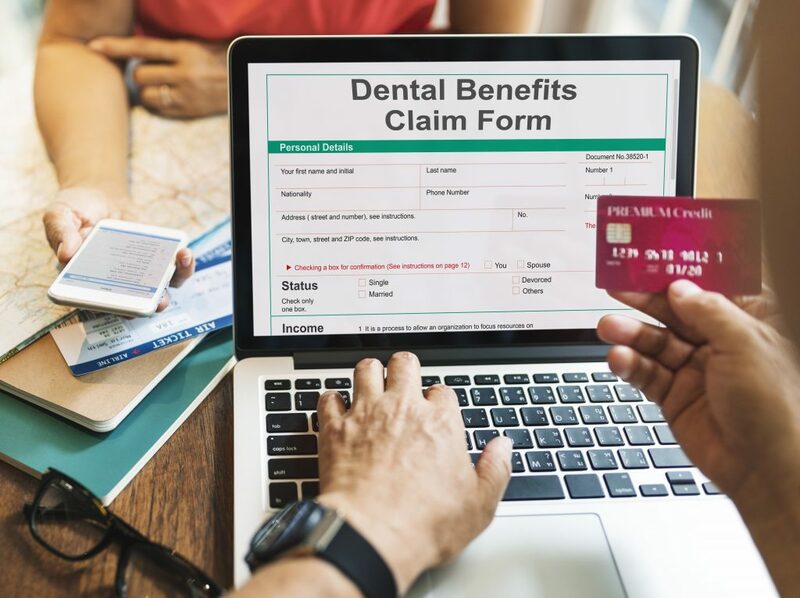 Making your appointments early and talking to your dentist about your needs throughout the year will stop you from trying to use all your benefits at once in the last few weeks of December. This will be better for your overall oral health and your wallet. Communicate with your dentist. The better you understand your dental needs and what procedures may benefit you, the easier it will be to plan your procedures and get the most coverage possible. Depending on your employer and coverage, you may have a Flexible Spending Account (FSA). With an FSA, you decide how much money you want to put into an account and that money is deducted from your paychecks. The money with your FSA can be used to cover things like cleanings, braces, co-pays, and other dental services. The money on your FSA, just like a traditional insurance plan, must be used by December 31. Unlike traditional insurance, however, they may be some wiggle room within your plan. Some places allow your money to carry over, others give a small extension on when you can use your FSA card. It is important to know your options so that you can best use your FSA plan. The end of the year is coming up quick, and whether you have a traditional insurance plan or a Flexible Spending Account, it is important to understand and use your benefits before they disappear. 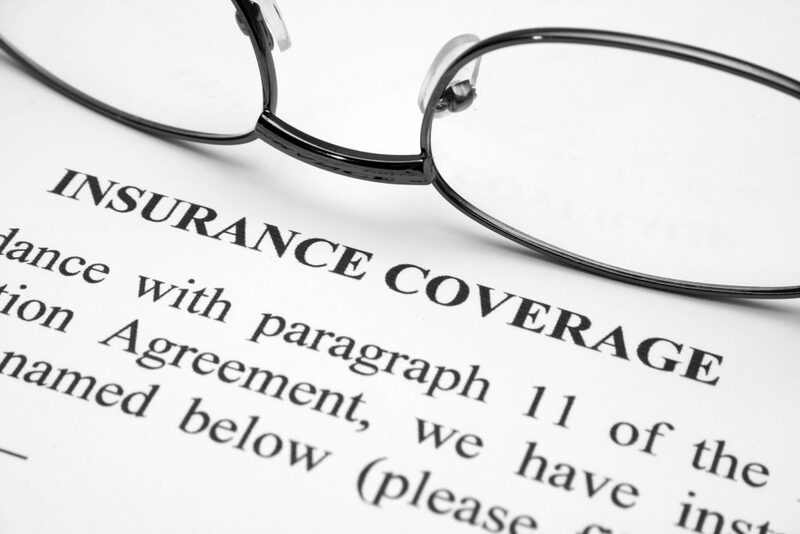 If you have any questions about your coverage, contact your insurance provider. If you need to use up your benefits before the end of the year, call us to make an appointment today. Appointments are filling up fast! 1) Are You Brushing Properly? You should be brushing your mouth, not just your teeth, but you know that, right? Hopefully! When you brush, you should be hitting your gums, tongue, and the roof of your mouth. All of these areas are prone to the buildup of bacteria and infection, and brushing them helps cut down on this risk. Make sure your brush is at a 45-degree angle when brushing near the gumline. You should brush in a small circular motion. Be gentle and use a soft-bristled toothbrush: being too aggressive can cause issues for your gums! What does “2” have to do with your dental health? Simple! Remember to brush your mouth twice a day for two minutes each time. Two minutes may be longer than you think, so set a timer on your phone to make sure you are hitting your target. When teaching your children good dental habits, invest in an hourglass or timer so that they have a visual illustration of how long two minutes actually is. Studies have shown that how long you brush is the most important part and that two minutes is the optimal amount of time! Flossing is one of the main aspects of oral health care that often gets skipped over. This is unfortunate because flossing is important, if not crucial, for your teeth and gums. Dental floss can get the areas in between your teeth that brushing simply cannot do alone. 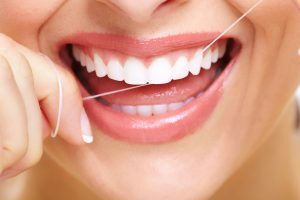 Although it may be uncomfortable at first and your gums may feel tender, getting into the habit of flossing daily will pay off in the long run. There’s more to oral health than just brushing and flossing. In fact, your diet can greatly impact the appearance and health of your teeth. Drinks like wine and coffee can stain your teeth. Excessive sugary foods like candy and soda can be the beginning of cavity development. We know that some sugar is unavoidable, so rinse your mouth out with water if possible after ingesting sugary foods. Many people know that fluoride is part of the dental cleaning process and that it is infused into our water supply, but aren’t entirely clear on what fluoride actually does. Fluoride helps to strengthen the surfaces of your teeth. It also helps prevent cavities from developing months after the treatment has been administered. What’s the best form of dentistry? Preventative, of course! Good oral practices and care can prevent lots of pain, time, and money in the future. The better your dental habits are now, the better off you will be in the future. One way of keeping your mouth happy and healthy is by coming to the dentist regularly. When you come to see us, we will give you a thorough teeth cleaning and look for any signs of dental issues. By catching things early, we are able to treat you quickly and efficiently. Dental Hygiene Month is a fun reminder to take care of your teeth and gums, but you should be practicing good oral habits every month! If you have any questions about your oral care or if you are due for a check-up, come see us. We, here at 5Points Advanced Dentistry, want to keep your dental health on track. 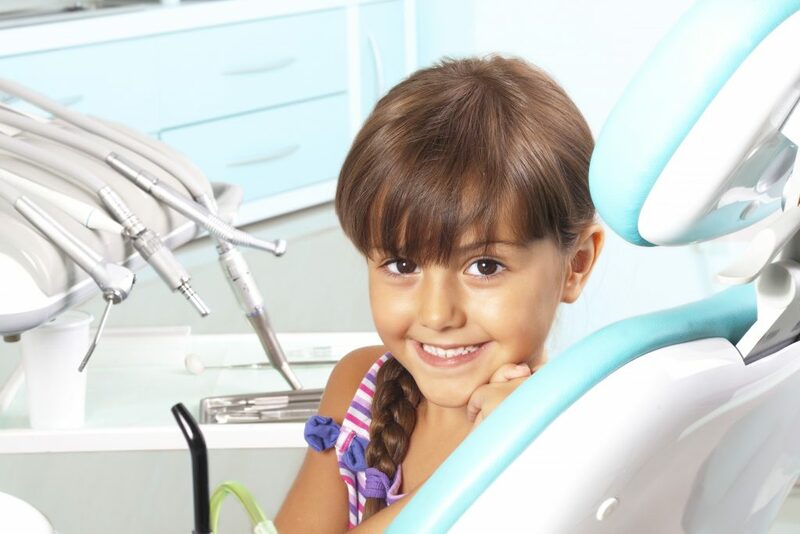 Have you ever wondered when you should take your child to the dentist for the first time? As a parent, you’ve probably heard contradictory pieces of advice on this topic. Should you wait until 2 or 3 years old? When the first baby tooth appears? Or maybe when all of their baby teeth have grown in? You may be surprised that The American Academy of Pediatric Dentistry and the American Dental Association (ADA) recommend that a child’s first visit should be when their first tooth grows in. For some babies that first tooth comes very early in life. Others may not start getting teeth until closer to the first birthday. All children should see a dentist by age 2. Introducing children to regular visits and proper dental care at an early age will start them on the road to a healthy smile that will last them a lifetime. The first dental visit should be an adventure; one for the baby book. The purpose is to introduce a child to the office in a non-threatening way. Taking a ride in the chair and being allowed to explore and touch some of the instruments may be what most of the visit is dedicated to. 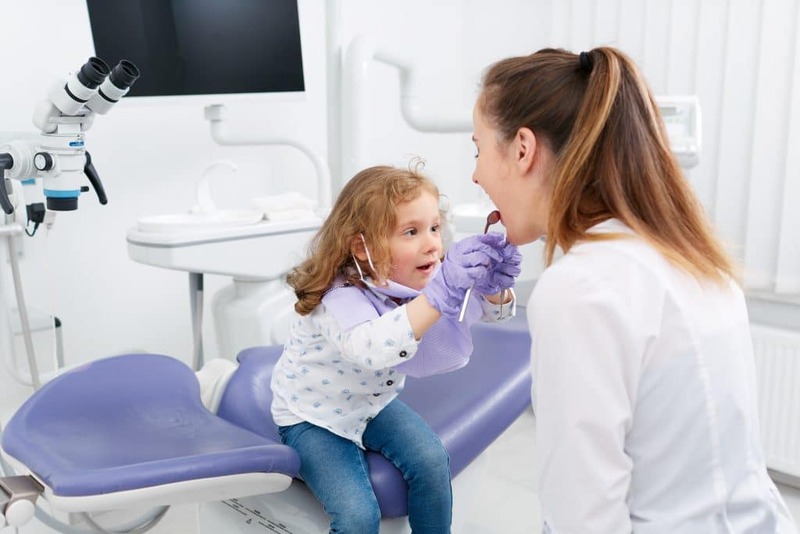 Once your child is comfortable with the hygienist, Dr. Imm will take a quick peek in their mouth to check for gum health and any other problems that may affect their teeth, speech, or airway. Dental care needs change with each stage of development. Toddlers should have a dental visit every 6 months beginning at 2 years old. They should begin flossing between teeth when the two front teeth are touching each other. The should be brushing teeth every day to prevent cavities. Research has shown that children who get cavities in baby teeth are more likely to get cavities in their permanent teeth. The ADA recommends children three years of age and younger use a smear of fluoride toothpaste no larger than a grain of rice for brushing in the morning and evening. Children 3 years old should use a pea-sized dot of toothpaste. Most children will have the first set of dental X-rays taken around 5 or 6 years old when the permanent teeth begin to come in. There is no set age or recommendation. If there are specific conditions or concerns, such as cleft palate or if a child drinks out of a lot of sippy cups or bottles they may have X-rays taken at an earlier age. Monitor brushing time to make sure the toothpaste is going down the drain and not down the throat. You may increase the amount of fluoride toothpaste used when your little one masters the art of spitting in the sink. Until then keep the amount to a minimum in case it is swallowed. The newest research shows that this is best time to start thinking about orthodontics. The American Academy of Pediatric Dentistry recommends orthodontic intervention as soon as a skeletal problem is identified if it is not likely to self-correct. Most kids wait until their early teen years to get braces, but by then it may be too late for your child to keep all of his or her teeth. The baby teeth start falling out around the age of 6. This is the age of prevention and the time to really start encouraging good oral hygiene. Sealants to protect teeth, especially the molars, from decay are usually recommended between the ages of 7 and 9, and again when the 12-year molars erupt. If needed, an orthodontic evaluation will definitely be recommended by 7 years old, at the latest. Proper nutrition is essential for maintaining dental health at all ages. It is especially important for children. What, when and how you feed your children is important to their overall physical growth and oral health. Diets that are good for the body are also good for the teeth. Avoid sugary foods and drinks. The bacteria in the mouth thrive on sugar. Discourage frequent snacking which leads to increased food residue and bacteria in the mouth. Provide a balanced, healthy diet. Use vitamin supplements as recommended by your pediatrician. Serve plenty of fruits and vegetables. Offer unsweetened, non-caffeinated beverages. Water is always a good choice. Chewy and crunchy foods, such as nuts and steak, can aid in the development of the facial bones and encourage correct swallowing patterns. Introduce these foods as early as your child is able to chew them. If you have walked down any dental care aisle in any supermarket or drugstore you know how overwhelming and confusing it can be to choose the best product for your needs. For oral care in kids, it pays to make the right choice. Little things like choosing the right size toothbrush or the best toothpaste can make a difference in preventing cavities and maintaining oral health. The best advice anyone can give you is to avoid playing guessing games and just ask a professional. Did you know that the American Academy of Pediatrics has recommended that every child who snores be evaluated by a Sleep Physician? That’s right. Early snoring can be a sign of an obstructed airway, which can lead to several health problems and will ultimately affect how your child’s face grows and develops. Dr. Imm is very passionate about your and your child’s airway health, so don’t be surprised if he asks you about our child’s sleep, and maybe even refers you to an Ear, Nose, and Throat Specialist (ENT). You want to make the right pediatric dental choices for your family. To do that you need to be informed. Ask questions and do research. Use the right products at the right age. Get the best care for your kids that you can. 5Points Advanced Dentistry is one of your most valuable resources. We are here to help children stay healthy and to teach them how to properly care for their teeth. As the saying goes; “You only have one chance at a first impression.” And what’s the first thing you notice during a first impression? Their smile! Here at 5Points Advanced Dentistry, we see white teeth and a bright smile as a golden opportunity to make an outstanding first impression. 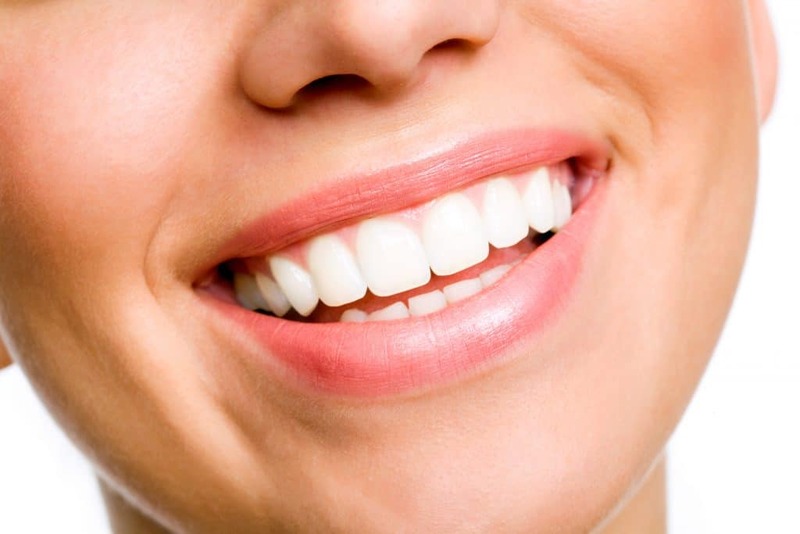 White teeth communicate health, beauty, and success. 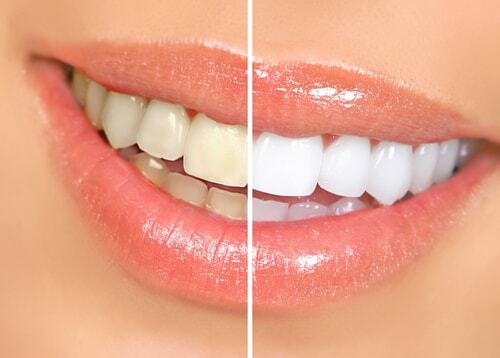 Teeth whitening is one of the most popular services in the cosmetic industry. It is a quick and somewhat easy way to greatly improve your overall appearance. Many people yearn for a sparkling smile but are held back by stained or yellowed teeth. Several factors can cause teeth discoloration. If you suffer from tooth discoloration, you are not alone. Dr. Imm and his staff here at our office can help to restore your healthy smile! The color of your teeth is a result of a combination of the color of dentin under the enamel and the reflection of light off the enamel. Every day the outer coating of the enamel picks up stains. Aging can also make your teeth less bright because the dentin gets darker while the enamel becomes thinner. This discoloration can be mitigated through advanced whitening technology. If drugstore whitening products aren’t working for your teeth, it may be time to seek help from a professional. There are several reasons why you may benefit from whitening your teeth at our office. At 5Points Advanced Dentistry, you will receive specialized care from Dr. TJ Imm and his team. You will have the opportunity to choose the option that best fits your budget, schedule, and preference. Through Zoom!® advanced teeth whitening technology, we can gently lighten up your teeth. The best thing about our Zoom! whitening system is that it is suitable for everyone; the treatment can be customized to for your specific needs. After making all the necessary arrangements, the doctors will apply whitening gel to the affected teeth to activate the process. After the procedure, you will be given Zoom! gel to carry home for touch-ups. You will be provided with post-whitening instructions. Our in-office procedures are suitable for anyone looking for a safe way to get a whiter smile instantly. So, if you have a special event coming up such as a graduation or a wedding, our in-office whitening treatment will get your smile ready to go. Most patients experience impressive results with this whitening treatment. Teeth whitening treatments are effective in removing brown, orange or yellow tinges caused by beverages, smoking or aging. Dark grey stains as a result of smoking, fluorosis or tetracycline may take time to whiten. Besides this, patients with periodontal disease, sensitive teeth or worn enamel may not do well in whitening treatment. The best solution for these cases may involve dental crowns and bridges. When you schedule an appointment, Dr. Imm will examine your teeth to help evaluate the best course of action. In the examination, he will photograph your mouth. Other dental problems can affect the whitening treatment. In most cases, some conditions such as cavities must be treated first before whitening. Before the whitening process, our team will clean your teeth. This will remove the food residues, bacteria, and other substances that may contribute to the yellowing. Instant Gratification: You will leave our office with a healthy smile. You will have whiter teeth within two hours. In most cases, a whitening session lasts less than an hour. Safe and Painless: 5Points Advanced Dentistry utilizes the latest technology in teeth whitening. This results in a low risk of developing long-term sensitivity issues. This is safer than over the counter whitening treatments. Improve Your Image: Most may argue that our eyes are the window to our soul. While this is true, teeth are also the window to our health and lifestyle. Dull teeth can signal ill health or a nutritional deficiency. Improve Your Self-Esteem: If you are less confident about yourself especially because of stained teeth; it is possible that you avoid social gatherings. Whitening can improve your self-esteem and can help you regain your social life. While some events such as a graduation, a wedding, the photos you take at these events are permanent. With our in-office whitening, you can shine through the years courtesy of a beautiful smile. Improve Interview Performance: A bright smile projects confidence, capability, and energy. These are the traits that most employers are looking for. If you are ready to improve your appearance with a healthy smile, please call us at 5Points Advanced Dentistry today! Our team will have your smile looking “first impression ready” in no time at all! How Can Dental Implants Improve My Smile? 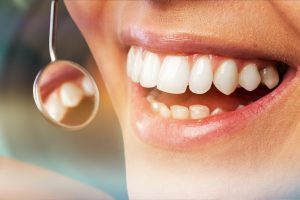 5 Points Advanced dentistry has a variety of solutions for people who suffer from missing teeth, gaps, alignment problems, discoloration or overall dissatisfaction with their smile. If you are impacted by any of these issues, you may want to consider dental implants. Dental implants are a sturdy, permanent solution to restore your smile to its healthy and natural state. 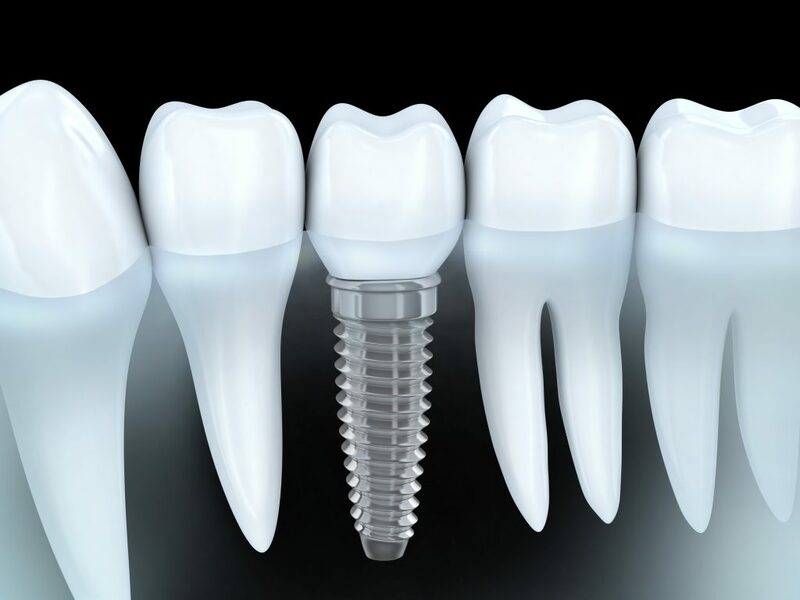 Implants are replacement teeth that have two parts to them. They have a titanium post that the specialist places underneath the gum line and into the jawbone. The post acts as the root of the entire tooth. It’s the foundation that the tooth is set upon after the post integrates into the jawbone. A replacement tooth or a bridge goes over the top of the root and forms the entire implant. The process of placing implants in the mouth requires surgery no matter which type of implant you get when you visit. It also takes a while before it’s officially complete. There are many reasons to choose implants over other methods of correction. One main benefit is their durability. Because it is integrated into the bone, the implant stands firm in its placement, even while eating. It fuses with your jawbone and creates a solid foundation that cannot easily be interrupted. The permanence makes them a lifelong option that requires minimal maintenance. Implants are a much better solution to missing teeth than dentures, which require adhesives and are often inconvenient and unsightly. The benefits of choosing dental implants are many. One of these is simply the natural look of dental implants. They can restore your perfect smile and bring your self-confidence back. Another benefit of the implants is that they are long-lasting. They can last for 25 years or longer if cared for properly. Other solutions may only last five to 10 years before they start to deteriorate. Dental implants can also improve your speech. Unlike dentures, that can move around in the mouth if not fitted properly, dental implants are permanent and can help you speak clearly. Dental implants make eating easier than other smile repair options. Because they fuse to your bone, chewing with a dental implant is easy and comfortable. When a tooth is missing, the jaw bone beneath it can start to deteriorate. Implants prevent this; helping you protect your jaw and prevent future dental issues. Dental implants can be a saving grace when it comes to improving your smile. They fill gaps and give you a full, healthy set of teeth again. The implants are so life-like that other people will not detect them. Facial structures can often appear sunken when an individual is missing teeth. Dental implants can fill out your smile and give you a full and youthful appearance. To begin the dental implant process, you must first make sure that you are a good fit for the procedures. For implants to be effective, there must be a workable amount of bone and gum tissue. Having deteriorated bone or damaged gums from disease will not allow for a successful implant placement. Thus, Dr. Imm will determine if you qualify for the implant procedure. If you do, then you can start working with Dr. Imm to create your recovery plan. The implant will most likely take multiple visits to conduct. The specialist will implant the post into the jawbone or gum during the first visit. You may be able to request a flipper or partial denture for the area while your jawbone is recovering from the initial procedure. The second visit will involve putting the tooth onto the posts. This is a surgical procedure, so there will be a waiting period between procedures. The entire process may take up to seven months, but it will be worth it when you see the results. Contact 5 Points Advanced Dentistry if you’re interested in learning more about dental implants. We can help determine if implants are the right course of action for you and create a treatment plan. Call us today and let us help you get back your perfect smile. Do you snore loudly? Do you feel tired when you wake up, even though you went to bed early? Do you occasionally wake up at night with a gasp? You may have a common sleep disorder that affects about 18 million adults in the United States. 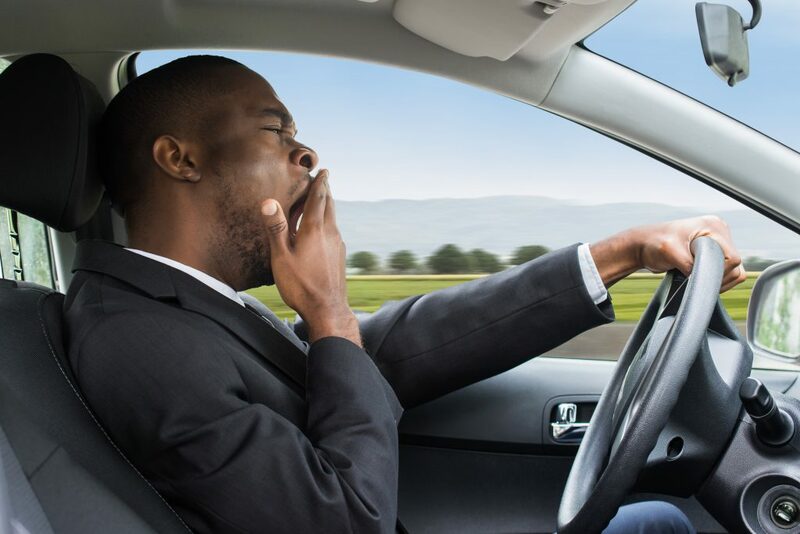 Sleep apnea can interfere with the quality of your sleep, disrupt your relationship with a partner, interrupt work, and increase your risk for heart attacks, early death, and car accidents. Here’s what you should know about this common sleep disorder, including how it can be treated to help you sleep. Sleep apnea is a very common sleep disorder that causes breathing to become interrupted briefly but frequently during sleep. Each apnea episode lasts at least 10 seconds when breathing stops completely. There are three types of the disorder: obstructive, central, and mixed. 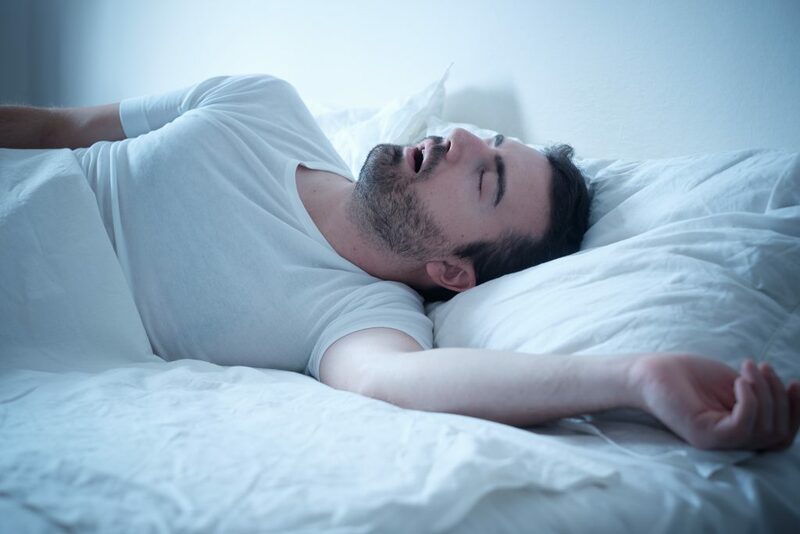 It is conservatively estimated that Obstructive Sleep Apnea, (OSA), affects about 4% of men and 2% of women, although it’s estimated that just 1 in 10 people who are diagnosed with OSA seek medical care. This form of sleep disorder is caused by blockage of the airways during sleep when your throat relaxes and allows your tongue or tissue of your throat to fall back and reduce airflow. The central form of this sleep disorder, or CSA, happens when the brain does not signal to the muscles responsible for breathing during sleep. This form is less common than OSA. A third form of the disorder is called mixed or complex because it combines central and obstructive symptoms. You snore very loudly. Not everyone who snores has a sleep disorder, but it is a classic sign of the condition. Snoring punctuated by moments of silence is an especially clear sign of sleep apnea. Beware! Not everyone who has sleep apnea snores! Stoppage of breath is often times completely silent! You wake up with a dry or sore throat. You sometimes wake up gasping or choking. A partner witnesses episodes in which you stop breathing during sleep. This usually lasts about 10 seconds and you may startle when breathing resumes. You have headaches in the morning. You feel very sleepy while driving. You have chronic fatigue or low energy. You wake up frequently at night, even just to use the bathroom, or have insomnia. You wake up feeling tired. You notice mood changes, forgetfulness, or reduced libido. All three forms of this sleep disorder can be caused by many factors. In adults, excess weight is the most common cause of OSA, but it may be caused at least in part by anatomical features like a thick neck, small jaws, or narrow throat. In children, it can be caused by enlarged tonsils and dental conditions like an overbite. CSA is also associated with being overweight, but it may be caused by certain medications, heart failure, and conditions that affect the brain stem as well. Sleep disorders are usually diagnosed with a sleep study, or polysomnogram. This will require spending the night at a sleep center. Your dentist or primary care physician may refer you to a sleep clinic if you suspect a sleep disorder. During the sleep study, your eye movement, sleep state, respiration, airflow, heart rate, muscle activity, and blood oxygen levels will be monitored and used to diagnose you. This will be done through surface electrodes on your scalp and face that monitor electrical signals generated by your brain and muscles. You will also have a belt around your chest to measure breathing and an oximeter probe on your finger to monitor blood oxygen levels. A sleep disorder can cause more harm than snoring and poor sleep quality; it can also increase your risk of heart disease, accidents, and death. Once diagnosed, it’s important to have the disorder treated effectively to help you get a full night of quality sleep. There are several options to treat sleep apnea. For very mild cases, lifestyle changes can be effective. This includes losing weight, quitting smoking, and avoiding alcohol. Sleeping on your side can also help keep your airway open. For OSA, positive airway pressure (PAP) therapy is the most common. This usually involves a BiPAP or CPAP machine with a mask you wear at night. A CPAP machine blows air gently and continuously into your airway to keep it open while you are asleep. A BiPAP machine is similar but it changes airflow when you breathe in and out. Oral appliances like a tongue-retaining mouthpiece or a mandibular advancement device (MAD) can also treat obstructive sleep apnea. These dental appliances work by repositioning the lower jaw and tongue to clear the airway during sleep. These dental devices are designed by dentists who specialize in treating sleep disorders. In extreme cases, surgery may be necessary. There are a few types of surgery that may be warranted such as nasal surgery to correct a deviated septum, removal of soft tissue at the back of the throat that obstructs the airway, and surgery on the jaw to correct issues that contribute to sleep apnea. Are you concerned that you may have OSA? At 5 Points Advanced Dentistry, we can help. While a dentist cannot diagnose a sleep disorder, your dentist can help treat your condition and refer you to a medical professional that can diagnose you. We screen patients at our Upper Arlington office for sleep disorders, and if this screening indicates you may have sleep apnea, we can refer you to a sleep doctor for a formal sleep evaluation and testing. From there, we can help treat your condition with a special dental appliance that keeps your airway open while you sleep. Don’t ignore the signs of sleep apnea; it can negatively affect your life in a variety of ways. If you suspect you have a sleep disorder, contact our office today for a screening and referral.